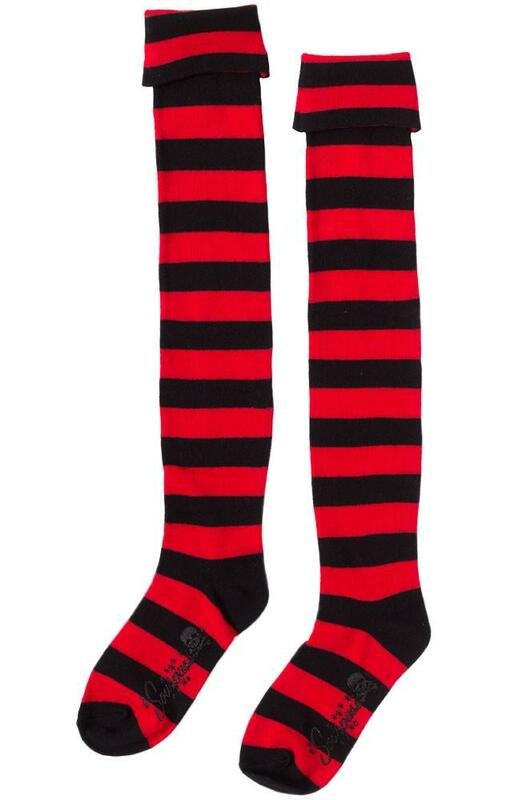 Spice up your outfit with these red and black striped Fold-over Socks. 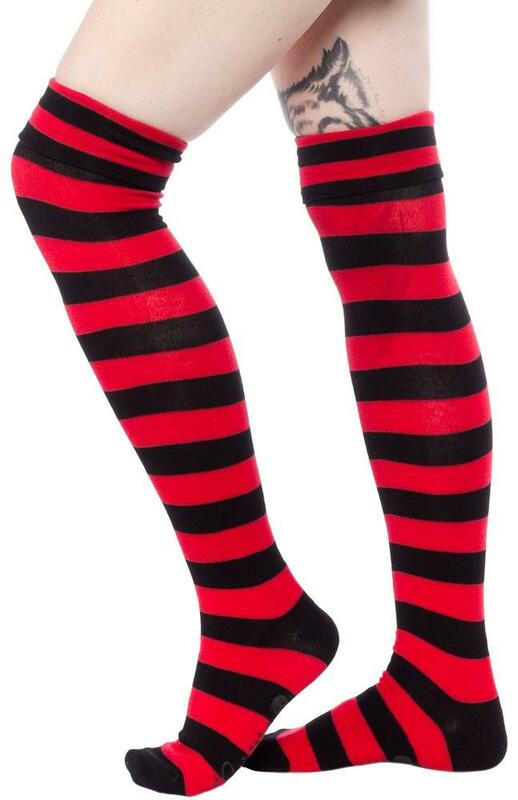 These versatile socks can be worn thigh high, just above the knee or below, for infinite accessorizing. 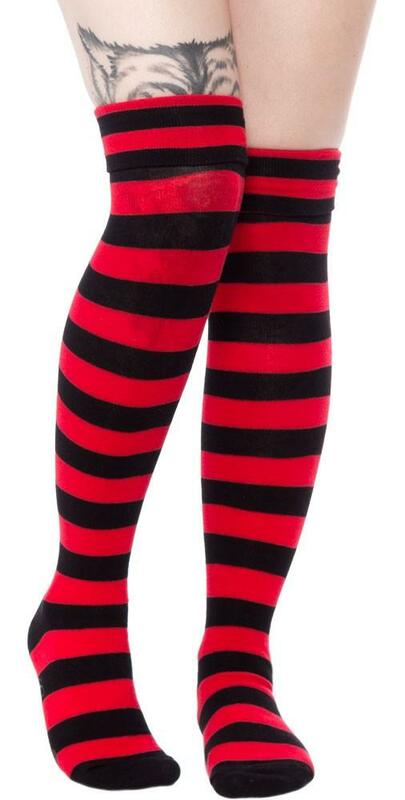 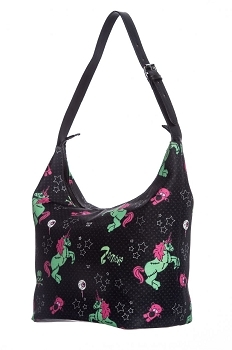 Pair with your favorite dress or skirt for the perfect look!